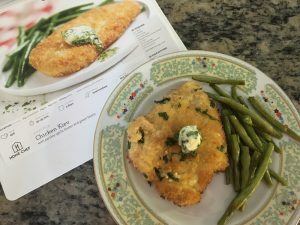 Home Chef Review by Bernadette Watkins | Making Dinner a whole lot easier with Home Chef, Fresh Food delivery to your door! 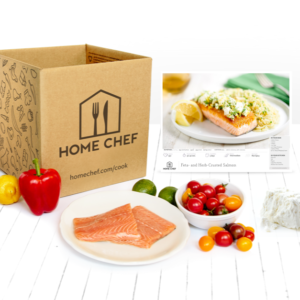 Making Dinner a whole lot easier with Home Chef, Fresh Food delivery to your door! Disclaimer: This is a sponsored post. I received a complimentary 2 serving meals from Home Chef via USFamily Guide to facilitate my review. All opinions are my own. As mothers, we always get the question of, “what’s for dinner?” from our kids and spouse every day. You can stop these issues by offering a variety to your home cooked meals with Home Chef! Getting ready-made meals delivered to your door is the new craze! Join in and get the best meals you and your family will love to enjoy day after day! Now that Summer is here the best way is not to have to think about what you need to make for dinner. Being a busy parent running your kids to and from school or running with a crazy work schedule you may want to consider getting meals delivered to your door. The best part is you get to pick what you want to eat each week with so many different types of selections to choose. All you have to do is with a click of a button pick what you want, and you and your family will be ready to make an incredibly quick and easy meal! Being the chef at home, I can appreciate this type of meal service. You do not have to shop at the store. Your selections are already pre-measured, so you never have to worry about waste. You pick your meals just for your taste and your schedule. Home Chef has thought of it all for families always on the go! Each week you will get to choose options from a selection of different meals designed with families in mind. Or you can venture to change your palette of taste from different styles of cooking to dietary concerns. All meals are healthy and made with organic ingredients you will want to keep ordering week after week! 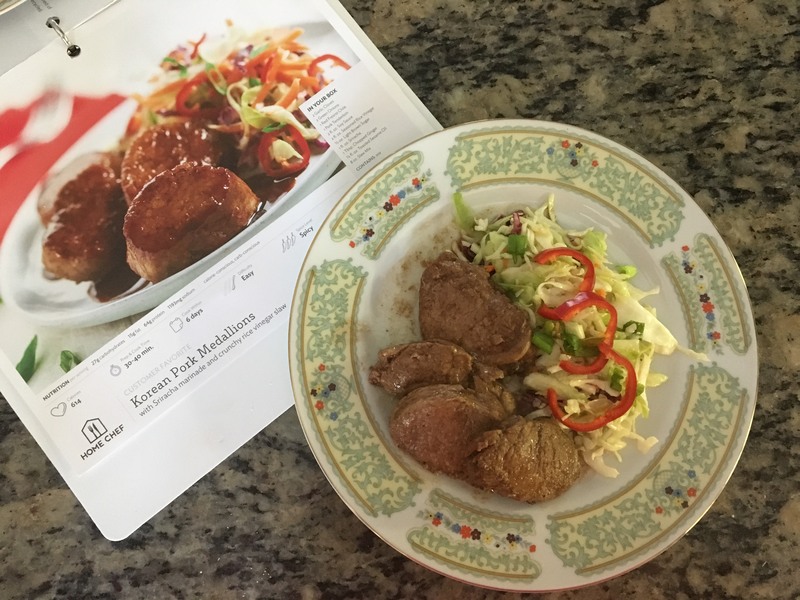 My family and I had the opportunity to try out the 2 serving meals which had choices I could pick from like Chicken Kiev and Korean Pork Medallions. You can get to choose as many meals delivered to your door each week for a little as $9.95 per serving! All of your meals will come in an insulated box that will keep your ingredients fresh until you are ready to prepare. There is no commitment and the best part is all your shopping to get these fresh ingredients are done for you before they event arrives at your door! Overall for my family and I, we enjoyed being in the kitchen and preparing our meals together! Thank you, Home Chef for making family mealtimes even better! Home Chef will give you and your family options when it comes to easy, healthy meals. They have thought of it all with families in mind. What are you waiting for trying it today! Check out Home Chef to see what meals you want delivered right to your door. Tell me what you ought to see on your dinner plate? Save today with this deal! 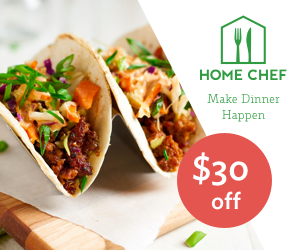 Use the code FAMILY for $30 off – Use the code FAMILY for $30 off your first Home Chef! Get social with Hello Chef!